With the words, “I want you to be able to use a raspberry,” my superior handed me this box. I didn’t think that would be possible, but for the moment being, I open the box. That’s about all I can understand about it at first glance. It might have even been the first time that I actually touch a circuit board. This is how I came to write this introduction about the Raspberry Pi. My name is Nakano Maruyama. I’ve four years of experience in programming. I’m a female programmer who recently returned to the IT industry. I’ve always avoided delving into anything but writing code, so I don’t have a knack for hardware or networks. I always tend to forget about the basics of these things when I’m not involved with it for a while, so I always need to freshen up my memory as I learn more. Because standing there with the circuit board in my hands wasn’t helping me much, I checked the box for any other content. “I should be able to do this if I follow the manual!”, I thought to myself. I spread out all the content of the box on my desk. … And that’s it! Very simple. There are quite a few connectors, but it seems like you have to provide the parts yourself. So I also have to look up what sort of things I need to connect it with. The paper was titled “Regulatory Compliance and Safety Information.” So, it didn’t seem to be a manual. For the moment being, I put the paper back in the box. Because the things at hand didn’t prove to be very helpful, I checked Google. It looks colorful and cute! As I thought, however, the website is in English, so I don’t understand. There doesn’t seem to be a Japanese version. But since I opened the website, I might as well check the help page. 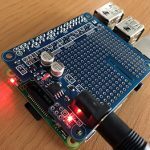 HELP – What Is a Raspberry Pi? 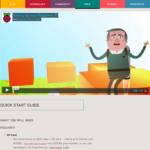 The “WHAT IS A RASPBERRY PI?” Page features a video, so I immediately pressed Play. Wow, it’s an animation! How cute! I headed to Wikipedia to look for some explanations. This already introduced some words I didn’t understand, so I investigated further. What is a single-board computer? 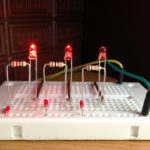 A CPU is the electronic circuitry within a computer that carries out the instructions of a computer program by performing the basic arithmetic, logical, control and input/output (I/O) operations specified by the instructions. Traditionally, the term “CPU” refers to a processor, more specifically to its processing unit and control unit (CU). As you can see, it seems to be a circuit board with only the necessary minimum of components. Yes, “minimum”, so it doesn’t even require a power cord. I wonder if it’s just the modern way of things that everything now works with USB. It seems like you can just simply put it together by connecting all necessary external components. Well then, let’s now go over some summarizing topics. I kept it limited to the topics I think are useful to know about. Released on the market on Feb 29th, 2012. Up to Oct 31th, 2013, a total of two million units have been sold. Because it was developed to promote computer science in schools, the demand for it in Japan as an educational resource has also been growing. It also seems like Google organized a workshop towards teenagers. If it’s aimed at education, it shouldn’t be complicated! This gave me the feeling that even I can figure this out! There are two versions available. “Model A” is sold for $20 and “Model B” for $35. “Model B” was the first one released, and “Model A” is something like the cheaper version. It was written on the box as well. The one I received is a “Model B”. Instead, it works with SD memory cards or storage devices for long-term data storage. It surprised me that they use SD cards as the hard disk! I suppose it’s also useful for other things than just storing data. Raspbian is a version of Linux, which is specially optimized for Raspberry Pi. You can download it from its official website. 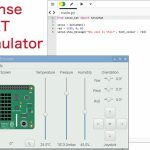 The recommended programming language is Python, but you can use any language as long as it works on ARM Linux. I have no experience with Python, so I would like to learn about it at the same time. I now have the basic knowledge, but I still don’t have the slightest idea what you can actually use the Raspberry Pi for. Wanting to see results rather than explanations, I looked for some projects of the ones that went before me. It Can Make a Mobile Phone! 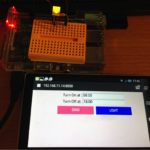 Someone made a mobile phone using the Raspberry Pi, and called it the PiPhone! You can see the parts attached to the Raspberry Pi from the spaces between the bundle. At my current skill level, I cannot even imagine what he did to develop this, but it seems funny that you can use it to create common use items! It can make a camera! This is a camera housing a Raspberry Pi, planned to be released on the market in December this year. It gives the impression of a toy camera, but apart from using to take normal pictures, you can even use it to record animated GIF’s! I wonder if you can use it for something like clay animations. 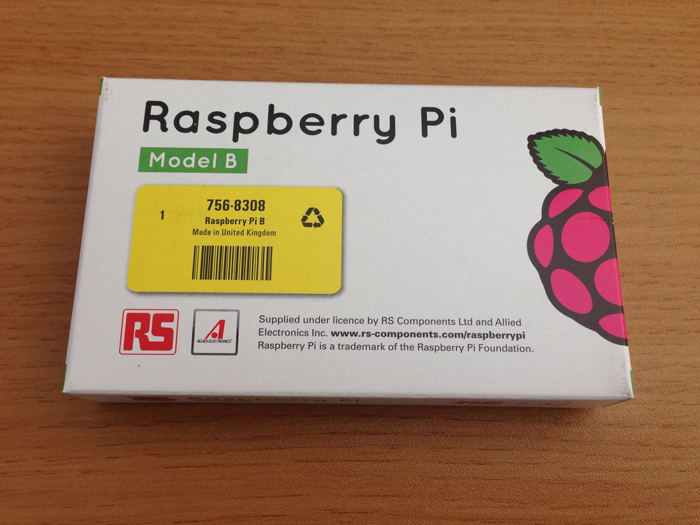 This is the first product which will be released on the market, which houses a Raspberry Pi on the inside. 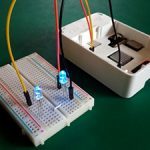 It can make a radio! From the things I found, this was the one I’d feel like making myself. It’s an internet radio receiver. I feel like if I would make something, I would get a substantial feeling of achievement if it would be something which makes sound, lights up or moves. Once I learn how to work with it, I’d like to challenge myself with this one! You can make a case for it! Though it might be an obvious thing… For an amateur of electronics such as me, I hadn’t thought of it myself. Being a woman, I like to put my things in cute cases! I found out that you can buy some online, but these home-made cases using Lego seem to be very famous. This is a Lego case made by a 12 year-old girl. You can feel the girl power from the raspberry on top of the box. I think it’s kind of scary to have a naked circuit board like that (because it might get damaged), so I would like to do this too as soon as possible. It’s convenient to use Lego, because you can change the shape any time you want! Results from normal programming projects usually don’t have any “shape”, so it seems fun to be able to make something which has a shape! I still have a long way to go to write my introductory report on Raspberry Pi, but I want to do my best, so that I can say in the end that even an geek girl with no sense for electronics like me, was able to do this! 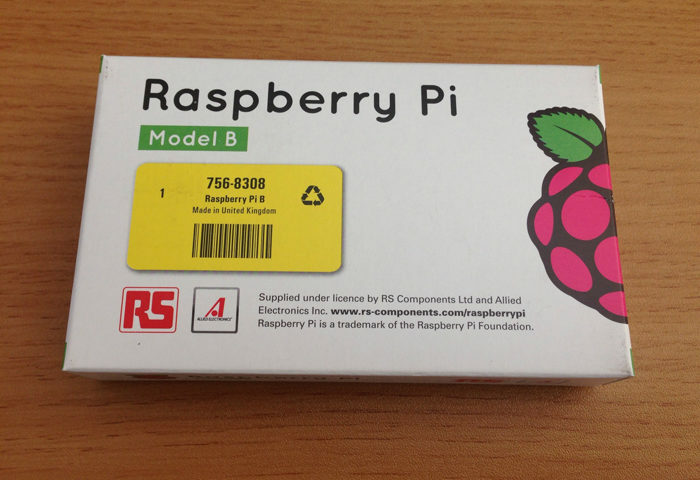 In my next installment, I will power up the Raspberry Pi and take it from there!